Larry Diehl, James May and I will be sharing songs at the iconic Acoustic Barn in Newcastle. You can send an email to larrydiehl101@gmail.com for reservations. The venue holds about 70 people and tends to fill up, so be sure to make your reservations soon. This is my first time at the Acoustic Barn, but it is becoming one of those legendary venues. I hope to see you there! Directions will be provided at the time you make a reservation. FRIDAY July 23rd 5:30 for dinner/beverages. Music starts at 6:30pm. Larry Diehl and I will then be sharing the stage at Nancy Cassidy’s house concert series on Friday, July 23rd. We will be accompanied by Peter Andrews again! Nancy holds these house concerts in a beautiful studio behind her Palo Alto home. For reservations, email nancycassidymusic@gmail.com. Directions will be provided at the time you make your reservation. A charming venue in historic downtown Benicia. Laura Zucker, one of the top Bay Area singer-songwriters will be performing a set as well. Anyone who has come to this venue before knows what a fun evening it is. The restaurant downstairs has excellent dinners, and the upstairs café features salads, appetizers, desserts, beverages…..and music! Think cozy, charming, homey….that’s First Street! Some of the usual suspects, Bob Hahn and Paul Fifield will be joining us as well. Back again at this beautiful restaurant/inn, located 100 yards from the ocean, on Highway 1. Paul Fifield, our trusty bass player, will sing a set of his well-crafted songs. Make an evening of it and come out for dinner, appetizers or dessert and enjoy a beverage of your choice. Come out and enjoy the beautiful Lafayette weather! Peter Andrews will be accompanying me and we will no doubt be joined by some of the usual suspects. We’ll be closing out the month back at one of my favorite venues. 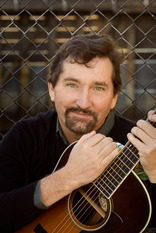 This time, we’ll be joined by Rick Glaze, who will perform a set of his songs. With Rick, think two parts Willie Nelson and one part Jimmy Buffett. Stop in early and join us for some dinner downstairs. Then come upstairs, put your feet up and groove to the tunes, while sipping a glass of wine or a cup of coffee. The fabulous Peter Andrews will join me, as well as some of the usual suspects. When I was young, I had no time for old stories. At the end of a Thanksgiving dinner, my grandparents, parents, uncles and aunts, would sit and tell tales from the past. A few of those stories stuck—like the one about my mother’s father and my father’s uncle playing baseball against each other in Marysville, or the one about my great-uncle getting drafted by the Pittsburgh Pirates but his father insisting he go to dental school instead. The seminal story was how my great-great grandfather missed being a “49er” by one day. He came to California by ship, arriving on December 31, 1849, but the ship couldn’t enter San Francisco Bay due to heavy fog on New Year’s Eve. I was never sure why not being a “49er” was such a big deal, but there was something emblematic in my great-great grandfather’s near miss. Most of the time, after those dinners, I would tune out the conversation until enough time had passed and I could be excused, change my clothes and slip out to the backyard. Now, years later, I wish I had stayed and listened. It is funny how the very young, those who need the stories the most, have the least patience to hear them. Now that I have a few miles in my rear view mirror, I feel an urge to tell my stories, and the stories of others. That is one of the main reasons I write and play songs. But the best part of my music world has been meeting so many people from different walks of life and hearing their stories. These stories are a reminder to me of what is really important. A nice counterbalance to the ads on TV that try to persuade us we need this or that new thing to be really happy. As the bumper sticker says: “The best things in life aren’t things.” Getting together with old friends reminds me of times when the elders sat among us, to share their stories and the wisdom, and often humor, that came with their words. It seems like it is getting harder and harder to find the elders among us. I hope to stay healthy long enough to keep telling my stories in songs, and to sit and listen to other people’s stories. June was a month for unearthing old stories. My long time friend, Peter Andrews, came up from Southern California, to play five gigs with me. Two of those gigs were in the Sacramento area, where Peter and I grew up and played together in a rock-and-roll band. Peter and I joined singer-songwriter Larry Diehl at Richard Lui’s house concert in Granite Bay last June 12th. It was the first time my mother had ever seen me perform live. Several old friends from junior high and high school showed up as well. The evening was magical. This last Friday, Peter and I got to do it again, at Café Luna’s in downtown Sacramento. Once again, the night was alive with music, tales and laughter. Of all my family’s stories, the one most vivid to me is the one about how my mother’s parents fell in love. They worked together in a hardware store in downtown Sacramento, and had gone to a picnic, on a casual first date. A few days later, an enraged co-worker who was obsessed with my grandmother wrote her a note. In the note he asked her to wear a blue dress to work if she loved him, and a white one if she chose my grandfather. My grandmother made the point to walk home and change into a white dress. The enraged co-worker walked into the store, saw my grandmother in white and shot her six times, leaving her for dead. He then ran down the back stairs to find, and kill, my grandfather. My grandfather heard the shots from the basement and ran up the stairs to see what happened—but he ran up the front stairs. Finding no one in the basement, the tormented suitor shot and killed himself. My grandfather began visiting my grandmother in the hospital while she was recovering, and that is when they fell in love. The doctors told my grandmother she likely would have died from infection of the wounds—if she hadn’t been wearing white. That story reminds me of how fragile and magical life is: my grandparents’ lives, my mother’s life, my life and my children’s lives…all hung on a few details in that story.